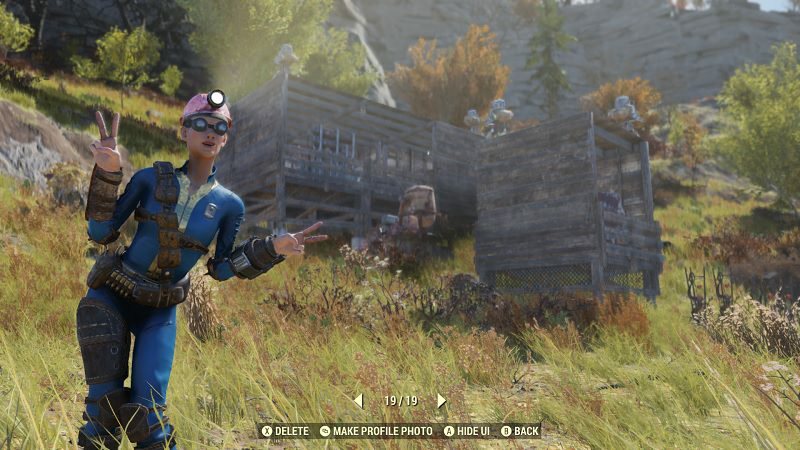 Fallout 76 aka The facts why Fallout 76 is bad. 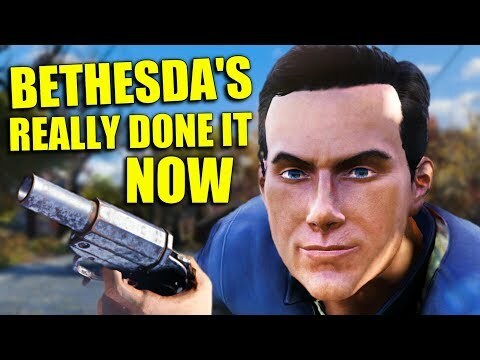 Or why Bethesda is. Come play with me, pls. Johnny C. is for adventuring in company with my wife, Hilly B.
OTOH, if you run into Senden (or just see Sir Rhosis online), send me a message and we'll see what we can do. Yeah, you can hear all kinds of things. Haters gonna hate. Haven't seen any evidence of any such thing during my forays into West Virginia, though. 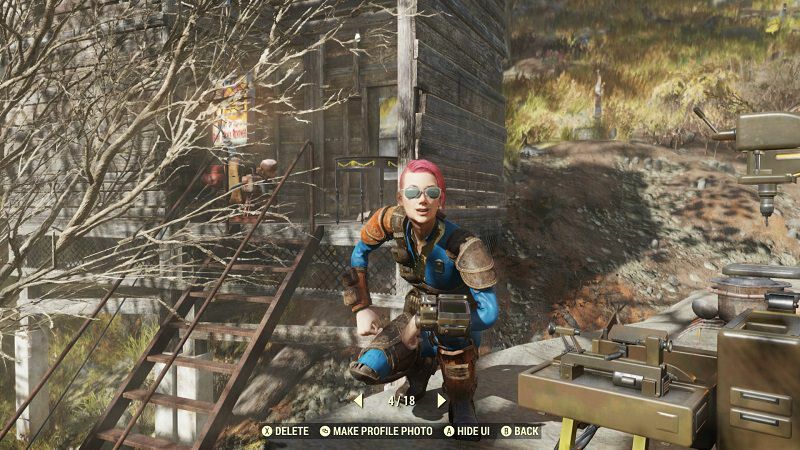 Scorchbeasts patrolling, yeah; Assaultrons fighting level 30 mutts, sure; crazy Mr. Handys trying to render all humans into mulch for the automated farm, of course - but not a single sign of any hacking anywhere I've been. I heard that Santa's reindeers could fly and that's why Santa can travel so fast. I lived in that belief several years. Until one Christmas i saw him jump in a rusty VW Beetle and it didn't start, he exited, kicked it and walked away. 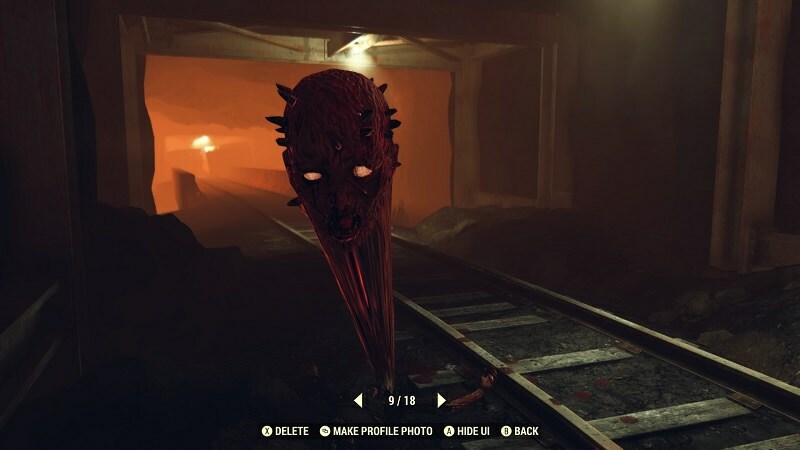 F76 reminds me a lot of.. Metal Gear: survive. Both games are cheap asset flip - zombie survival 'mmos', exclusively made, to cash in on the zombie survival genre hipsters. I can't see how anyone who's actually spent any time with the game thinks it was cheap to make. They made a new world map that roughly corresponds to the geography of RW West Virginia, and even has places inspired by those IRL. And the armoring/costuming is a bit silly. You put some other clothes on, and your armor pieces dissappear... So everyone looks the same...I think i came across 3 priests so far. And 4 guys in their underwear... Might have been same priest guys...I'm dressed as a priest also...Need to get my headset working and preach some WRATH OF GOD to that wasteland!! Hopefully they include the player made mods. I've been having a lot of fun playing it. Seen a few bugs but nothing too serious... the worst thing is a teamup bug I've encountered that wouldn't let me join or start a team but after some hassle my friend and I got it working. That's really the only negative thing I can say about my experience with the game so far. All the other complaints I have heard about the game were things I was expecting going in and I have had a good time playing despite them. There's lots of priest outfits lying around. Personally, I went with the Responder Police uniform, and a cop hat I found. Thinking of donning the Garb of Mystery, but I'm not sure it'd look that good on a guy. I'm changing my current name, Frank.... to SHOTGUNfrank... I got like gazillion shotguns in my inventory, at lvl 13. The nuking goes away after a while, though, because online multiplayer. Also I just watched the BBC docudrama called Threads… which is about the immediate fallout after a nuclear war..it is super grim... better to be locked up in a vault for 20 years. Imma lock myself in a fridge. Gonna live inside it for 200 years. And yes, so long as you don't quit the world, you get unlimited runs to recover any junk you dropped. I try to keep the junk levels minimal, though, both for storage reasons and because that way if it's just not worth the run, I can simply abandon my little paper bag (that's what your dropped junk shows up in). In Pacifism mode, you can't start fights, not even accidentally - your stray shots don't hurt others. You can still respond to an attacker if you wish (I don't). Outside that mode, it's possible to accidentally hit someone, but if you do, they don't have to respond, and the hit is for like one or two points, no big deal. Weapons only do full damage if both people decide they want to fight. 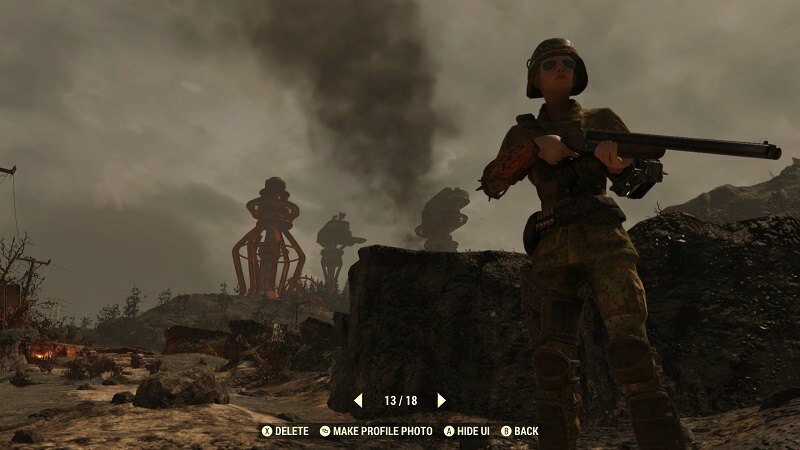 The focus of the game isn't supposed to be on PvP, you see - they intended for the players to cooperate on rebuilding civilization (or at least stopping the Scorched Plague). The focus of the game isn't supposed to be on PvP, you see - they intended for the players to cooperate on rebuilding civilization (or at least stopping the Scorched Plague). ey spinny if you are just not that into it or turned off by it because of some reason...just don't worry about it . We're having fun here, that's it. that is all there is to it.